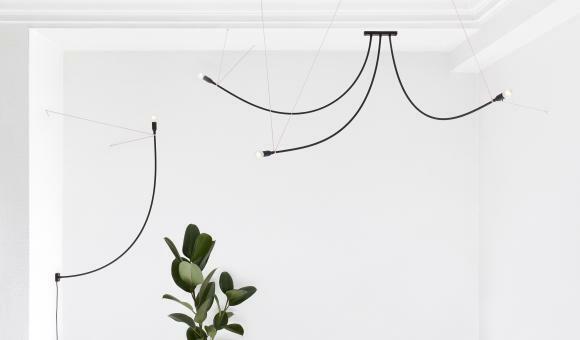 This year again, designers from Wallonia-Brussels are present in Milan during Design Week, which runs from the 12th to the 17th of April, under the label "Belgium is Design". Two exhibitions feature our designers: "The New Belgians" at the SaloneSatellite and "Belgian Matters" at the FuoriSalone. Six up-and-coming designers represent French-speaking Belgium at the SaloneSatellite 2016. Under the name "Belgium is Design”, the traditional collective platform organised by WBDM (Wallonie-Bruxelles Design/Mode) once again helps raise the stakes of this space devoted to young artists at the Salone internazionale del Mobile in Milan. The SaloneSatellite 2016 also marks an important anniversary: 10 years of WBDM. It is here that, back in 2006, the organisation created by the AWEX, WBI and the Wallonia-Brussels Federation, launched its mission to promote and support design exports from Walloon and Brussels. Since then, the SaloneSatellite has been a calendar staple. This is where many designers have been spotted for the first time, or simply benefitted from an experience that has put them on the right track for the future. The 10th joint stand organised by WBDM for SaloneSatellite looks set to be particularly interesting. Six designers together convey a well-defined vision of design where meticulous research intertwines perfectly with the freedom of the creative act. Qualitative in terms of process and final production, conceptual without extremism and innovative intelligence are the hallmarks of a new generation of French-speaking Belgian designers who explore strong themes and new behaviours that are redefining the role of design in our everyday life, using languages that are always authentic. The following projects have been selected for this year’s fair. The evolutionary design of Romy Di Donato (° 1984) makes it possible to assemble and disassemble primary structures that turn into nestable modules that are compact and multifunctional. Frédérique Ficheroulle (° 1988) is a designer-artisan specialising in ceramic and porcelain whose conceptual approach leads to an empathetic relationship between the objects and the diversity of end users. The duo PaulinePlusLuis - Pauline Capdo (° 1992) and Luis Bellenger (°1987) – work with light and reflections through the reuse and hijacking of objects and materials to create products that have a story all of their own. Pierre-Emmanuel Vandeputte (° 1991) is a true designer of experience: his objects, boasting new and unexpected features, are born of a reflection that sets out to change our habits and call for a new perception of reality. Valentin Van Ravestyn (° 1989) transforms wood into a malleable and flexible material such as a sheet of paper or a textile. Thien Vo (° 1989) continues his formal research, producing attractive objects that combine glass, marble and metal with an innovative metallic finish. To mark Milan Design Week 2016, the institutions and organisations working to support and promote Belgian design under the label "Belgium is Design" are joining forces with the independent magazine DAMN, founded in Belgium 11 years ago. "Belgium is Design" is thus taking part in the collective event "A Matter of Perception: Tradition & Technology" at the Palazzo Litta with a seventh Milanese exhibition. "Belgian Matters" will present products derived from 13 collaborations between designers and companies, which often come from sectors far removed from furniture design. All the projects, created for the exhibition, will be presented for the first time during the Salone. "Belgium is Design" has worked closely with DAMN° on the selection and grouping of the participants in the "Belgian Matters" project, who come from the three regions of Belgium (Brussels, Flanders and Wallonia). The collaborations, initiated and supported by "Belgium is Design", have resulted in ad hoc products and prototypes that highlight the specificities of the designers and manufacturers. Drawing on their own particular expertise, each was also encouraged to depart from their usual procedures. The designers were required to apply their various talents each time to a different material (such as blue stone, leather or wood) or technique (such as glass blowing, weaving and tannery). For the manufacturers, artisans, industrialists and research centres, this was often a first experience of design in a collaborative approach with the aim of exploiting their potential and making them more than simple providers of materials or manufacturers. What really links these different approaches and these different types of products (accessories, small items, furniture) are the focus in each project on the manufacturing process and on mutual learning, as well as the dialogue that has pervaded the series of encounters.